It’s not that easy to be always good looking and stylish during hot and humid New York summers. Especially on a day when you have lots of errands to run. What really helps is a good straw hat (it’s also a good option when you don’t have enough time to style your hair properly or just don’t want to), simple white cotton tank (to avoid absorbing too much heat), colorful pants (to cheer you up throughout the day) and a pair of comfy ballet flats. Spice it up with an interesting piece of jewelry and you're good to go. And don’t forget to drink lots of water!!! My sister is like that :) Well you definitely know how to look stylish in the heat! 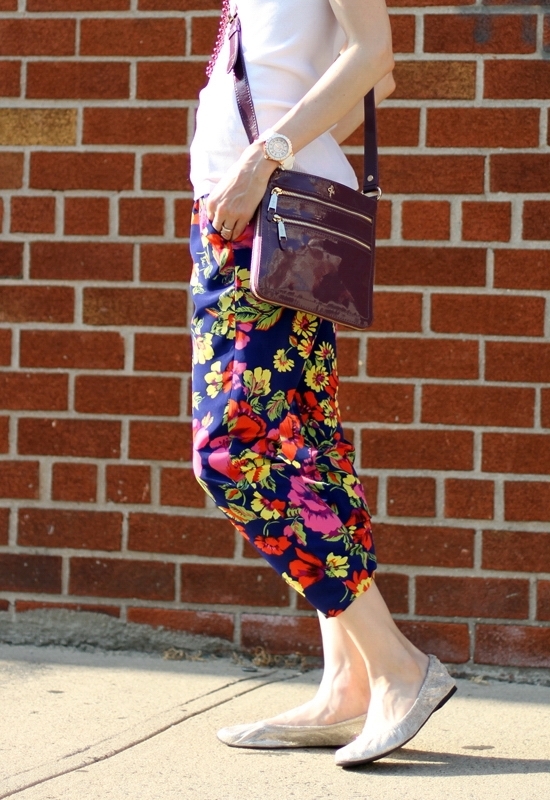 Love the floral pants. you look perfect for NY!! love your style and your mum has great taste!!! Amazing pants! Love this outfit! And the accessories are perfect! i really like this outfit, you look awesome. thank you for such lovely comment, would you like to follow each other? These pants are fabulous! Congrats on 1 year too. love how you toned down the floral pants with the white tank..the way I would've done it too.. So pretty! Love the hat with this too!! I REALLY love the pants. The floral pattern is so fun and perfect for summer. Ohhh how I love your pants,honey!So colorful and fun! I'm still on the hunt for the perfect floral pants....& you're lucky you have it! great pants and all accessories!! Thanks for stopping by my blog! 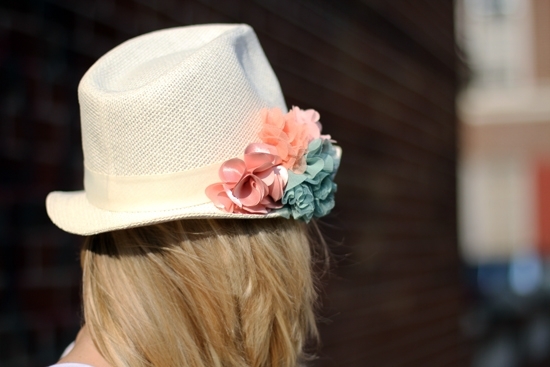 Love the hat and the pants :) Would you like to follow each other here and on Bloglovin? I would like to invite you to my Giveaway for Dodo by Pomellato bracelet! Nice outfit love the floral pantS! Your pants are really cute pants!! thanks for stopping by my blog would you like to follow each other?? Really cool look! Sadly I don't have a friend or someone in my family who knows what I would like to get as a present. I'm the only one who cares about fashion and loves to dress up. So if I don't want to get a present I don't need or like, I have to wish me money or chosen pieces. :( But then I always know, what I'll get. So which opinion is better? The floral print on those pants are fabulous! Ahh! Those pants are phenomenal! I'm loving the bright and bold print!